Sunny and bright, 4 BD, 2.5 BA Colonial in the desirable Pleasant Grove neighborhood! Large windows, wainscoting, ceramic tile and wood floors accentuate this charming home. Center entrance hall with custom ceramic tile floor opens to formal Living Room area with French doors and tall windows. Formal Dining Room with hardwood floor and picture frame wainscoting. Large Kitchen with oak cabinets, stainless steel appliances and large bay window overlooking the expansive rear yard and garden. Laundry Room and indoor access to the attached, 2-car garage. Family Room with built-ins and wood-burning fireplace, glass door leads out to large outdoor deck, great for entertaining. 2nd floor features a large Master BD with walk-in closet, built-in bookshelf and reading area and en suite full BA, three more BD and large hall BA. The finished basement has Rec Room, Bonus Room, unfinished workshop with shelving and built-in bench. This home has NEW roof and siding in 2015, resurfaced driveway in 2017 and an award-winning perennial garden. 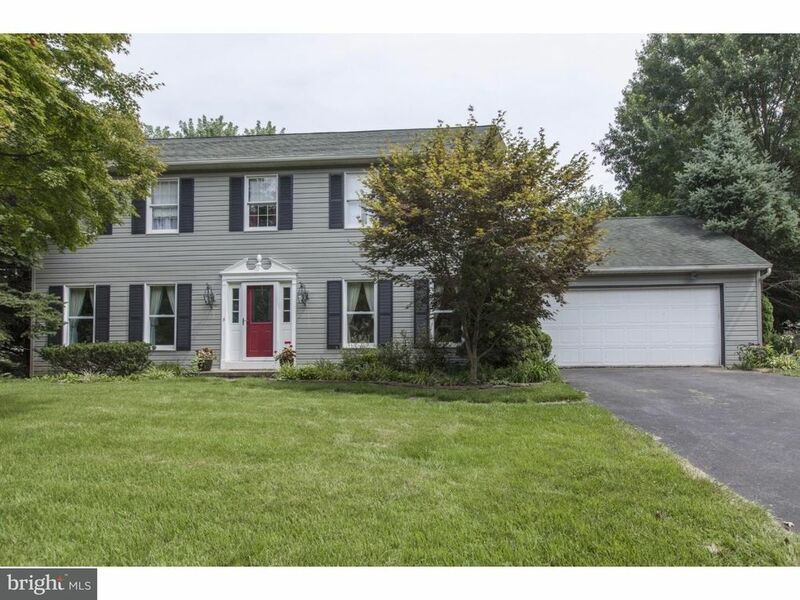 This fabulous home is walking distance to Oakbourne Park and Athletic Fields. Convenient to West Chester University, Routes 202 and 926. Located in the top-rated West Chester school district, this home is near shopping & restaurants in Downtown West Chester.